Blurb Description: Eerie, romantic and compelling this supernatural love story weaves together ancient myths, forgotten legends and the strange fates of a young psychic and a group of prep school boys caught in a web of murder, mystery and magic! Ronan is one of the raven boys — a group of friends, practically brothers, searching for a dead king named Glendower, who they think is hidden somewhere in the hills by their elite private school, Aglionby Academy. The path to Glendower has long lived as an undercurrent beneath town. But now, like Ronan’s secrets, it is beginning to rise to the surface — changing everything in its wake. 'Of the Raven Boys, Entertainment Weekly' wrote, “Maggie Stiefvater’s can’t-put-it-down paranormal adventure will leave you clamoring for book two.” Now the second book is here, with the same wild imagination, dark romance and heart-stopping twists that only Maggie Stiefvater can conjure. In one word, I will proceed to describe this BEAUTIFUL MONSTROSITY of a book: AAAAAAAHHHHHH. Like I said in my review of The Raven Boys, I had COMPLETELY FORGOTTEN how amazing this series was, the eccentricities and personalities of each of the characters since when I read it three years ago, and reading The Dream Thieves consecutively after was SUCH A LITTLE TREAT, and I need more. 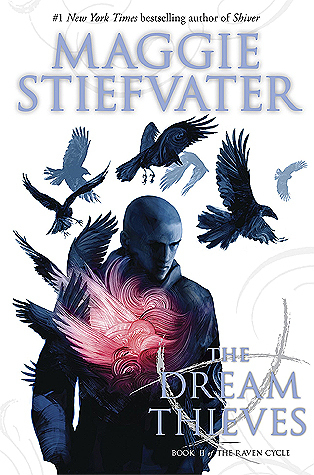 The Dream Thieves picks up a little time after when The Raven Boys ends, with the boys and Blue trying to find Glendower, and dealing with *spoiler alert* Adam sacrificing himself willingly to wake the ley line up and figuring out the repercussions, and Ronan trying to manage the monsters in his dreams, and trying not to bring them back to real life. 1. MAURA SARGENT AND THE GRAY MAN: I didn’t really care for Blue’s mother in the first book (not because she was a BAD character, but because she didn’t really have much of a purpose in book one) but with the Gray Man in the picture (no spoilers on who he is. PFFT to all you people that love spoilers.) IT WAS THE CUTEST THING EVER, and the two of them pretty much overtook all my shipping capabilities! 2. 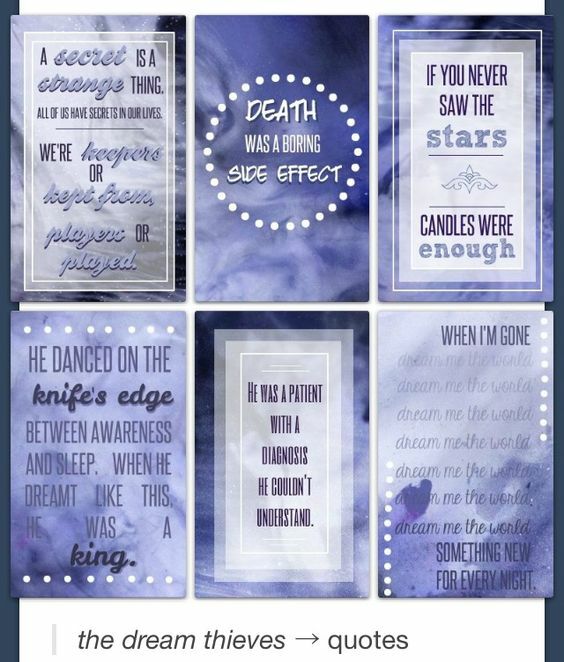 RONAN LYNCH: I knew from book one that this BROKEN boy would undoubtedly be my favourite character in the series, and I LOVED HIM SO MUCH IN THIS BOOK, I just wanted to reach in (like the book was one of his dreams) and hug him close. (He probably wouldn’t have appreciated it much, but HEY.) Ronan’s powers, coming to terms with them, learning to use them and understanding that with great responsibility comes with his power was so BEAUTIFULLY done, I give Steifvater a standing ovation. 3. THE PLOT: I don’t think there’s a better way to combine magic and reality and complex characters that what Maggie Steifvater has done in The Raven Cycle. I ADORE that there is so much mysticism and magic and love and friendship and pride in the air, combined with a quest and the supernatural. It is the perfect blend of our dry realities and all the unseen everyday magic and I LOVE IT. 1. THE ANGST: Unfortunately, there was a TON of angst and self-loathing and UGH SO MUCH PAIN in this book, that it felt a tad overdone (?) and I would have REALLY preferred more of the ACTUAL QUEST over all the ANGST, but I will take in it stride nevertheless. I’m going to sit here and slowly die until I get my hands on Blue Lily, Lily Blue, but I CANNOT recommend (throw in your face) this series more. A Magic Filled, Dream Like Masterpiece that will have you questioning the existence of your reality! 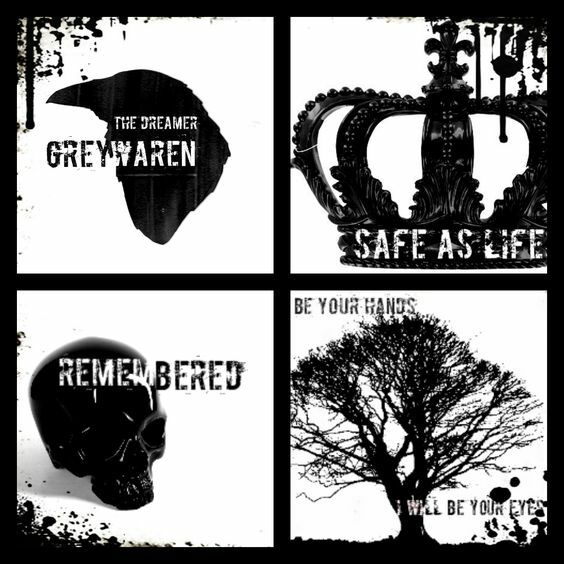 HAVE YOU READ THE RAVEN CYCLE? Who is your favourite Raven Boy? Have you read any other Maggie Stiefvater books? Which books of her should I put on my immediate TBR? What are your favourite books on magical realism?